Car manufacturer Ford is collaborating with tequila producer Jose Cuervo to develop new sustainable bio-based plastics using offcuts from the agave plant, commonly used to make the spirit, to produce more sustainable plastics for use in the motor industry. 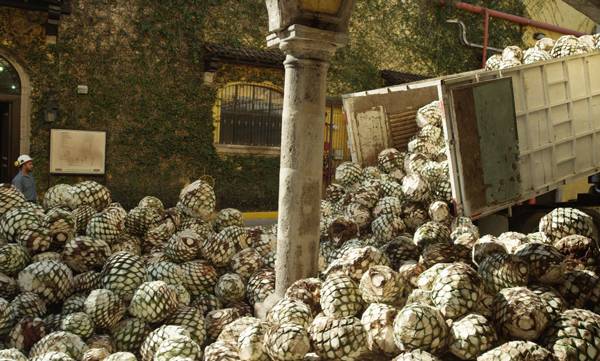 To make its tequila, Jose Cuervo takes agave plants, native to hot and arid regions of Mexico and the southern United States, that have grown for at least seven years, and harvests, roasts and grinds them down to extract juices that are then distilled. Some of the agave fibres remaining after this process are composted on the company farm or used by local artisans to make crafts or paper. Through the company’s collaboration with Ford, however, it hopes to be able to use the fibrous by-product to make plastics that can be used in Ford cars. Ford researchers are currently testing the durability and heat resistance of the agave-based bioplastic, which may be used in wiring harnesses, heating, ventilating, and air conditioning (HVAC) units and storage bins. The researchers say that so far the materials are showing promise. According to the United Nations Environment Programme, around five billion metric tonnes of agricultural by-products, such as agave waste, are produced every year. These materials can be used as low-cost alternatives to glass fibres or talc to create more sustainable lightweight products, but are often underutilised. By producing plastics from agave fibres, Ford says that it could reduce the weight of its cars, which would in turn increase their fuel economy. At the same time, using more sustainable materials would decrease the company’s reliance on petrochemicals and its environmental impact. EcoLon, a post-consumer nylon carpet used in cylinder head covers. 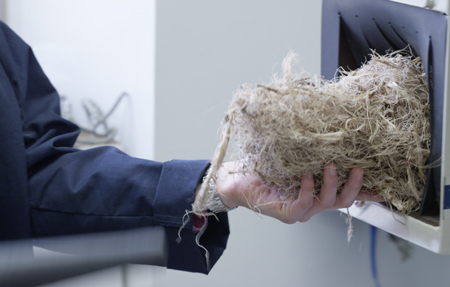 Other bio-based materials used by Ford include those based on soy foam, castor oil, wheat straw, kenaf fibre, cellulose, wood, coconut fibre and the company is in the process of testing more from sources including algae, tomato peel and carbon dioxide. A project run by Jaguar Land Rover with aluminium producer Novelis to develop a closed-loop on car manufacture reclaimed over 50,000 tonnes of aluminium scrap last year. Researchers at Lancaster University have developed a new technique for converting coffee grounds into biofuels, drastically reducing the time and energy needed in the process.